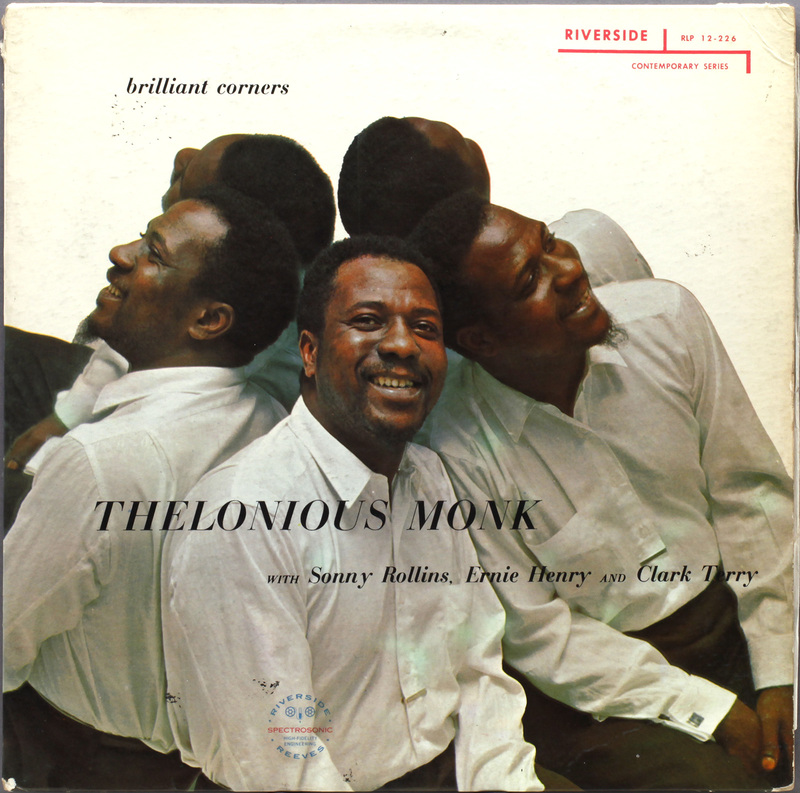 Monk at his most brilliant, in Brilliant Corners. Even Rollins claimed it was impossible to play. Time signatures like a learner driver failing his driving test, lurching into first, third, emergency stop, hill start, and a nagging pungent tune that won’t go away. It is everything a lot of popular music today isn’t. Unpredictable, but scored and structured unpredictability rather than the randomness of free jazz. A double helping, with a second track Pannonica, obviously named after a well-known brand of camera. Product placement as early as 1956. Monk doubles up on celeste to add texture to the bluesy Ellingtonian ballad. If you don’t get Monk, don’t worry, Monk will get you. DG, mono, no UK copyright details on the song titles, Lacking the usual “Distributed by Interdisk” note on the cover which usually denotes a British pressing. Looks like an original US copy but who knows, with dual nationality patents in the runout. The cover is a marvel. British or US pressing? Those patents, what can they mean? What is patent about a record. Cover looks like the original US version. Put out in a London store for only £7 It plays a lot better than it looks. Judging from the skating rink around the spindle it was often played record. There is some surface noise and a few brief tics and pops and but with Monk, you could say they enhance the time signatures – sort of polyrhythmic special effects. The dealer should know, most of the scuffs are entirely superficial, as they can’t be felt, but I guess it’s a double take – thinking what a punter will think, hence the giveaway price. Which suited me fine – thats often where bargains are to be found. 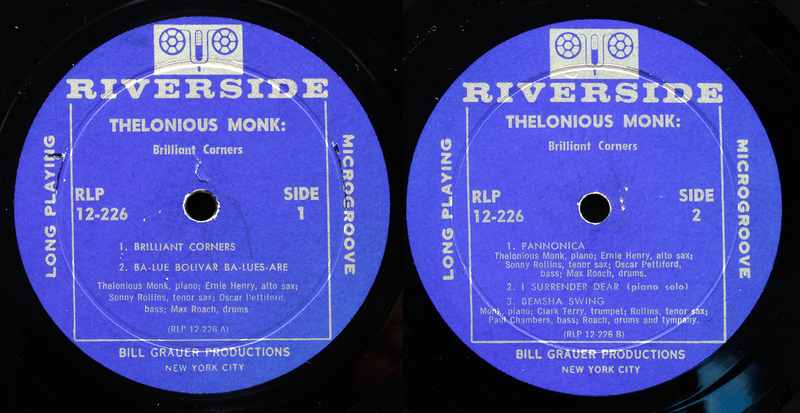 This entry was posted in Riverside, Thelonius Monk and tagged Max Roach, Oscar Pettiford, Riverside, Sonny Rollins, Thelonious Monk by LondonJazzCollector. Bookmark the permalink. British humour seems not to travel well, so let me unpick the joke. “Pannonica” is an unusual name, hence reconstructed in faux-ignorance from some Japanese camera brands “Panasonic”, “Canon” and “Konica”, which all have some elements of the name “Pannonica”. The character LJC is ignorant of the Baroness de Koenigswarter’s first name, and he wrongly confuses it with camera brands that sounds similar. It is a double-takedown, he is unmasked, a tragi-comic figure of fun who gets everything wrong, who doesn’t realise it and carries on regardless. It is in the long tradition of the clown in comedy. I appreciate the intention of adding information. Those patent numbers indicate a West Coast manufactured LP. Research Craft in California pressed this example. They usually made very good pressings. Should be less noisy than a East Coast example. I was lucky enough to pick up an original US copy a few moths back in NM condition for $30 dollars. This session is fantastic. Nice find! I have one question. Does your pressing contain that charming little piano intro on “Blue Bolivar Blues”, before the horns come in? It was subsequently removed from all pressings and it has been chopped off the master tapes, too! 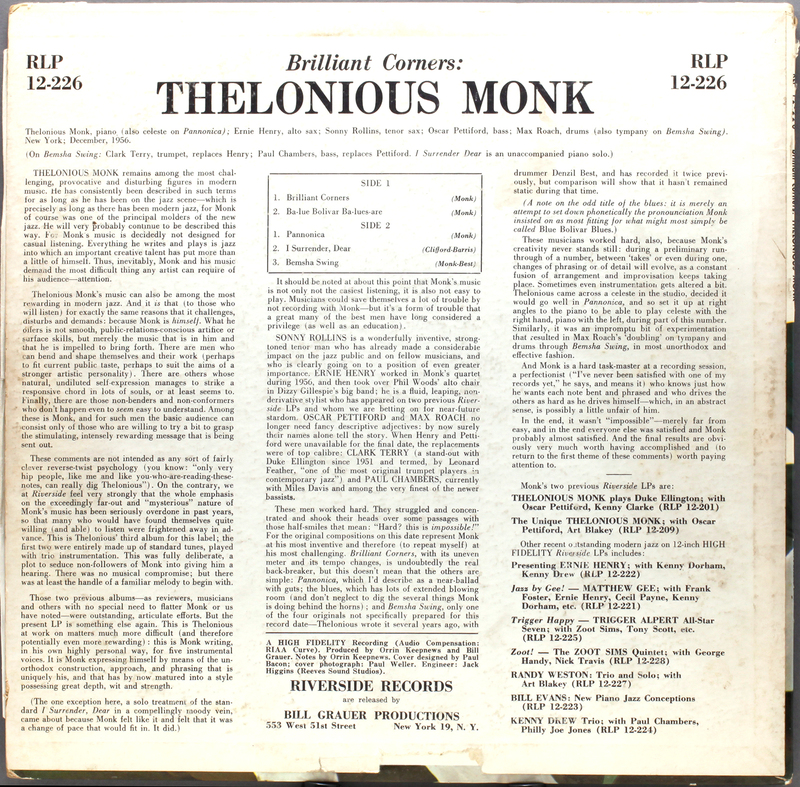 When Keepnews brought out that big Complete Monk set in the mid 80’s, he needledropped that section from one of his original crackly first pressings and edited it on again, but it has not appeared on record ever since, including that recent 45-r.p.m. pressing! Well, good news is it contains the piano entree before the brass come in. The not so good news is that one of the few scratches on the LP that sound give a half dozen loud clicks across it. Its the Gods, having a laugh at us. Give with one hand and take with the other.